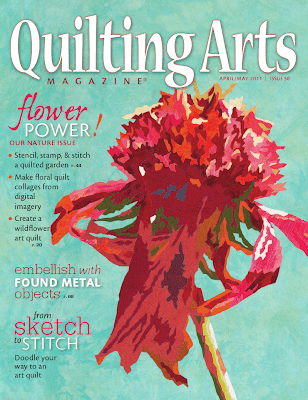 I am very fortunate to have been chosen to be the featured artist in the latest Quilting Arts Magazine. It is a beautiful article showing many of my representational floral pieces and relays some information about my process and the road I've taken as a fiber artist. And astoundingly, I was also chosen to be on the cover!